NAPA, Calif. (February 2015) – General Manager Don Shindle of The Westin Verasa Napa is pleased to announce the property will hold its third annual Wine, Women and Wellness event March 6 through 8. Wine, Women and Wellness is a culinary, viticulture and health-inspired weekend getaway created expressly to celebrate females. The month of March is Women’s History Month in the U.S. and International Women’s Day is celebrated annually on March 8. The festivities will kick off on Friday, March 6, when the hotel will host a Grand Wine Tasting Event from 5 to 7 p.m. in the Solara Courtyard. Guests will have an opportunity to taste the wines of notable and award winning female winemakers, including Pam Starr (Bridesmaid Winery and Crocker & Starr Wines), Heidi Barrett (Barrett & Barrett and La Sirena), Martha McClellan (Sloan Estate, Checkerboard Vineyards, Hamel Family Winery, Vineyard 7&8, Toymaker Cellars and Levy & McClellan), Mary Rocca (Rocca Family Vineyards) and Celia Welch (Corra Wines and Lindstrom Wines). The $25 per person ticket price includes small bites to be served during the wine tasting. Following the Grand Tasting event, a unique opportunity to dine with some of the women winemakers during a four-course wine pairing dinner at the Michelin-starred La Toque restaurant is offered. Chef Ken Frank has created a menu of sumptuous courses paired with wines expressly for this event. The experience includes interaction with the female winemakers and four courses with wine pairings offered at $150 per seat, including tax and gratuity. The Westin Verasa Napa’s Wine, Women and Wellness getaway weekend will also offer relaxing activities geared just for women. Guests can begin their days with a renewing walk or run with the property’s onsite Running Concierge, or take part in a morning yoga session led by Buddy Macha, a Lululemon instructor. Guests are invited to book in-room treatments with Gloria Curry Day Spa throughout their stay, and to close out the weekend on Sunday, Sophie Jaffe of Philosophie will be presenting a Superfoods Cleansing Smoothie Workshop showcasing ways to naturally recharge your body after a weekend of fun! Built into the schedule is plenty of time to relax around the heated saltwater pool and hot tub or to explore and experience the offerings of local female winemakers throughout Napa Valley. Included in the room rate is the nightly Westin Unwind wine tasting reception held in the lobby, and a map will be provided listing the female winemakers’ respective tasting rooms to visit them in person. The Westin Verasa Napa has partnered with the Bay Area Chapter of Dress for Success on a clothing drive for this year’s event. Dress for Success is a national charity which promotes the economic independence of disadvantaged women by providing professional attire, a network of support and the career development tools to help women thrive in work and in life. Guests are encouraged to bring gently-used and clean suits, blouses and separates from within the last five years to be donated to the organization. A donation box will be displayed on-site at the hotel during Wine, Women and Wellness. Room rates start at $159 per night for a Traditional King room during Wine, Women and Wellness. A la carte tickets to the activities taking place over the course of the three days are available for purchase here: https://winewomenwellness2015.eventbrite.com. The Westin Verasa Napa is located at 1314 McKinstry Street, Napa, CA 94559. 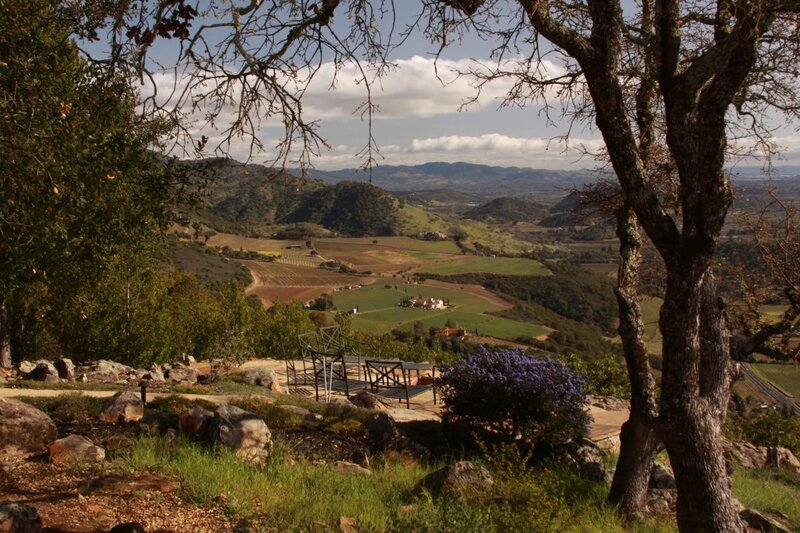 For more information on the property, please visit http://www.westinnapa.com/ or call (707) 257-1800. For more details on Wine, Women and Wellness, please visit: http://www.westinnapa.com/girlsgetaway. Ideally located in downtown Napa, The Westin Verasa Napa features 180 rooms and the full suite of Westin signature amenities and services designed to inspire wellbeing. The Westin Verasa Napa is positioned on the bank of the Napa River and across the street from the Napa Valley Wine Train. Additionally, The Westin Verasa Napa is adjacent to the Oxbow Public Market, a short stroll from the heart of Napa’s vibrant downtown retail and dining district, blocks from the famed Silverado Trail, and within walking distance of 15 of the Valley’s tasting rooms. All guest rooms and suites feature a modern, residential design accented by a soothing, neutral color palate, sleek custom furnishings and signature Westin amenities such as the Heavenly BedÒ featuring lush sheets, down cushioning and a patented pillow-top mattress that cradles and contours to the body for complete comfort. Another industry first, the Heavenly BathÒ, creates an invigorating spa-like experience, enhanced by the brand’s Heavenly Shower®, Heavenly® Robe and exclusive White Tea Aloe bath amenities. In-room, high-speed Internet access and an ergonomic work space offer travelers convenience and productivity in a tranquil setting.